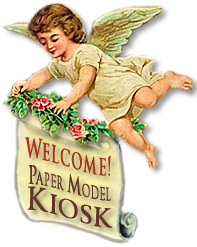 This specially-priced Twelve-Pointed Star Decorations Combo includes a quality Printed Sheet and a Premium Download. A Printed Sheet and Premium Download Combo for a special price. Straight edges make it easy even for your youngest Christmas decorator to cut out this quality 8.5 x 11 Printed Sheet. 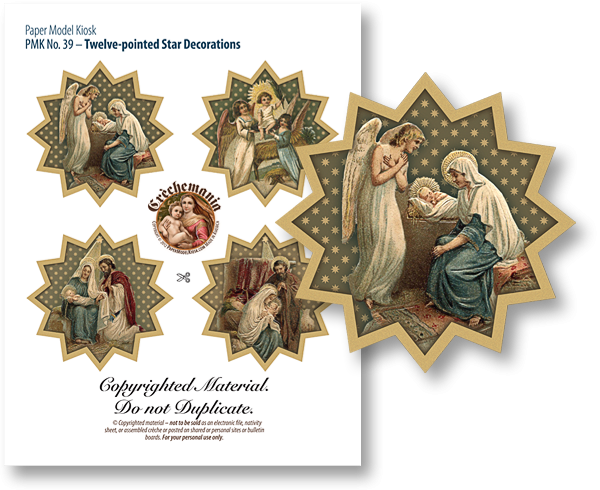 The accompanying Premium Download PDF allows you to print the Four Nativity scenes set in a field of tiny stars as often as you'd like. Size: 3.5 x 3.5 inches. Similar ornaments are selling for $15 each.